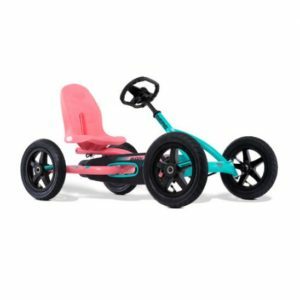 Do you want to stand out and have a daring go-kart? Then go for the BERG Buddy Cross. 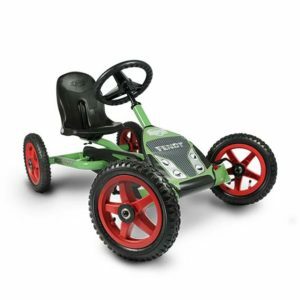 This sturdy go-kart stands out due to the duo-tone colours and bold stickers. 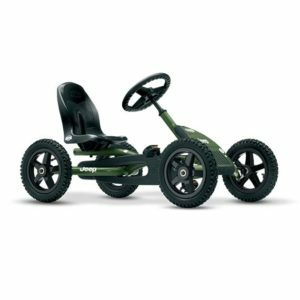 The off-road tyres of this go-kart means you can go on any adventure! 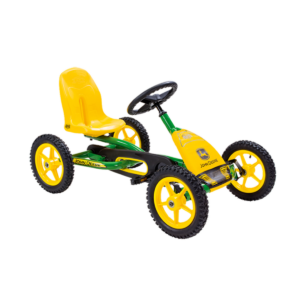 The pneumatic tyres also make this go-kart comfortable to ride. The swing axle keeps the BERG Buddy firmly on the ground. 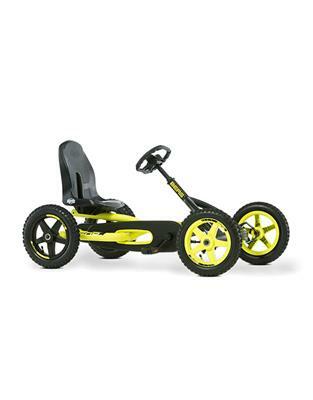 The BFR system on this go-kart enables your child to set off easily. Your child can simply brake using the pedals, but also reverse immediately after coming to a standstill. The BERG Buddy adapts to the height of your child through the adjustable steering wheel and seat. 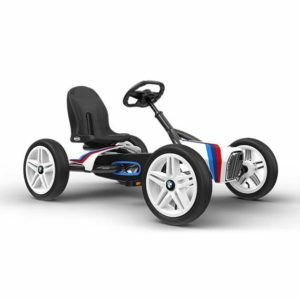 This go-kart is suitable for children aged 3-8.